Laboratory Furniture Planning - Lab Interior Planning | LFFH, Inc.
With laboratory planning, we know that clear communication, accuracy and quick turnaround are important to our clients. Each member of our design team has experience (20 years minimum) and is proficient in CAD. All aspects of laboratory design are handled by one person – no waiting in line for an available drafts person, nothing is “lost in translation.” Drawings and revisions can be completed in short order. Some call this approach fast track – we call it standard operating procedure. Estimates: Accurate laboratory furniture budgeting is important. Our time tested system provides quick turnaround of accurate budgets. Firm Price Quotations: A firm price quotation is promptly provided with the final drawing revision. This approach is efficient and helps guarantee the best possible price for the highest quality products. Value Analysis: Every laboratory design is unique. One designer will provide an analysis outlining options, reviewing the pros and cons of each, to inform and assist in decision making. You will have a clear understanding of options to make informed decisions that balance cost, function, form and aesthetics. 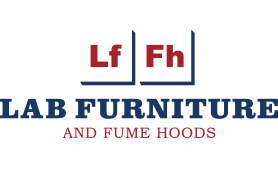 Lab Furniture and Fume Hoods, Inc. services companies worldwide with laboratory planning, design, construction and installation. 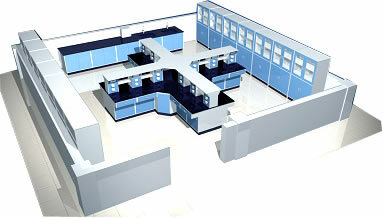 Call us to learn about our free laboratory design services.